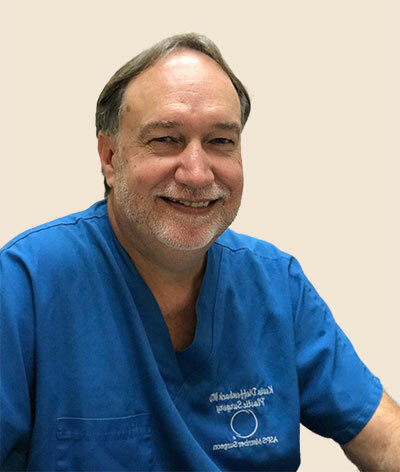 Reconstructive Surgery in Honolulu Hawaii | Kevin Dieffenbach, M.D. In evaluating your condition, a plastic surgeon will be guided by a set of rules known as the reconstructive ladder. The least-complex types of treatments-such as simple wound closure-are at the lower part of the ladder. Any highly complex procedure-like micro-surgery to reattach severed limbs-would occupy one of the ladder’s highest rungs. A plastic surgeon will almost always begin at the bottom of the reconstructive ladder in deciding how to approach a patient’s treatment, favoring the most direct, least-complex way of achieving the desired result. You may also be interested in the following procedures breast reconstruction, cosmetic surgery or scar revision.